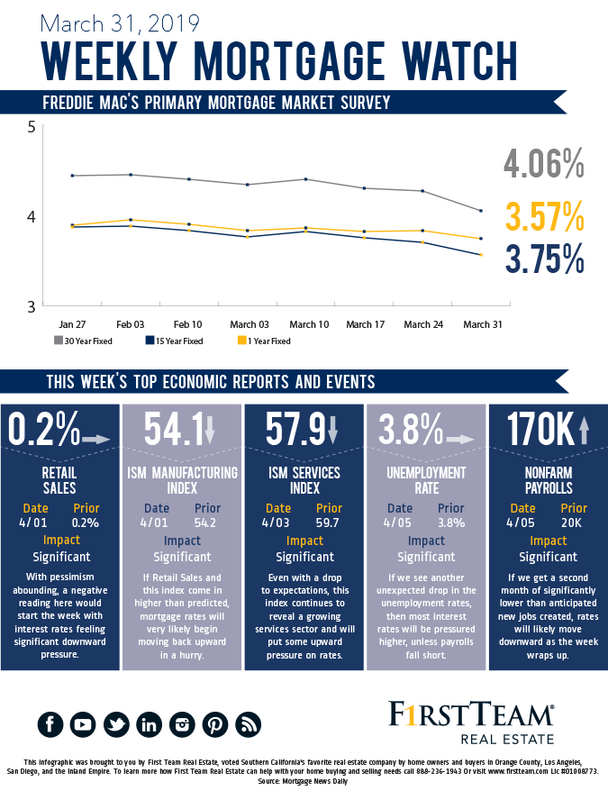 Mortgage rates plummeted last week as pessimism dominated the bond market. While no single specific item sparked the downturn in rates, a general sense of unease about the future seems to be growing. International economies are reporting more economic challenges, and our economy has slowed some. With this, some analysts are beginning to talk about the potential of the Fed reversing course and cutting rates. However, that is unlikely right now. GDP dropped more than expected as did Consumer Confidence. While 2018 ended on a weak note and 2019 stated the same, some of the initial March data appears to be showing improvement, which may play out in the coming weeks. Retail Sales, the ISM indices, and employment data are due this week. If these reports show more weakness than expected, then rates could move downward. That would be even more likely if more international news turns negative. \If US economic data is at expectations or better, then mortgage rates are likely to spend the week moving back upward towards previous levels. Looking to make more money and sell your home faster? According to a new study by Redfin, you may want to list your home on Thursday. 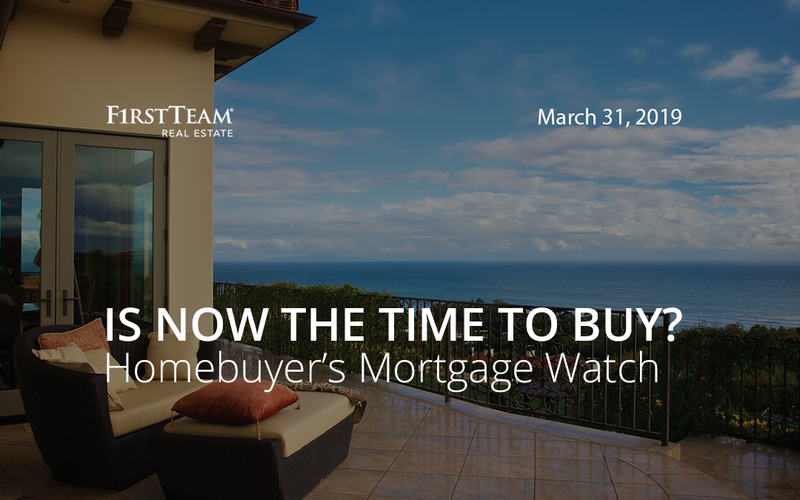 After analyzing over 2 million home sales in 148 metro areas during 2018, the researchers discovered that homes listed on Thursday sold for an average of $3,015 more than homes listed on Mondays (the worst day). Homes listed on Sundays spent an average of six more days on the market than homes listed on Thursdays.